Two women have gone missing, and LAPD Detective Harry Bosch has a strong suspicion that an avid fisherman named Denninger is the culprit. Bosch needs something stronger than a suspicion to bring Denninger in, but all he has are a handful of photos—prior mug shots and pictures of Denninger posing with his prize fish. It's not much to go on, and Bosch is running out of time, which is why he calls in FBI agent Rachel Walling. What she sees in these photos could blow his case wide open. 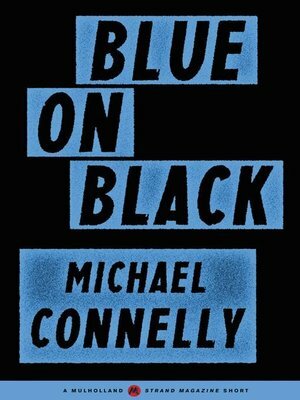 "Blue on Black" by Michael Connelly is one of 20 short stories within Mulholland Books's Strand Originals series, featuring thrilling stories by the biggest names in mystery from the Strand Magazine archives. View the full series list at mulhollandbooks.com and read them all!